Welcome to Barcelona! Upon arrival, you will go through customs and immigration. Should you opt to purchase a transfer to your hotel; a representative will be waiting for you as you exit immigration. Arrive at your hotel, check in and do not give in to jet lag! There is so much for you to see and do! This afternoon, make your way to Placa de Catalunya, the cultural center of Barcelona, to enjoy tapas (or just a coffee) in one of the many open-air cafes that are located here. 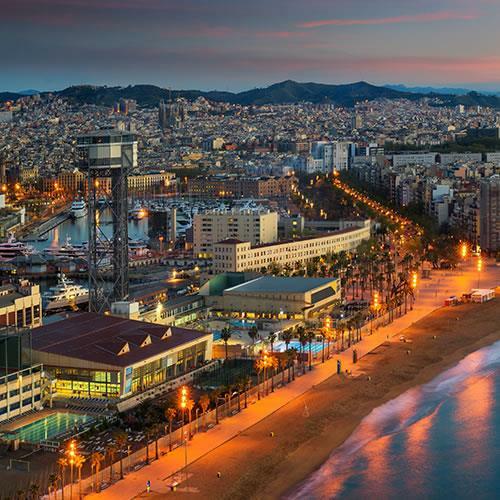 Later, enjoy an evening stroll along La Rambla (a favorite activity for locals and visitors alike) to the Mirador de Colom before heading to Barceloneta, the city`s stylishly renovated waterfront. The relaxed atmosphere of this area makes it a great spot to sip drinks and savor a delicious seafood dinner while planning the rest of your stay in this charismatic city. This morning, we suggest you start in the Gothic Quarter, called the Barri Gotic in Catalan, where you will have a chance to explore the streets, squares, hidden corners and charming architecture, including the Catedral and the Palau del Rei. Afterwards, take some free time to shop in the area and stop for lunch at Barcelona`s oldest restaurant, Can Culleretes (established in 1786). 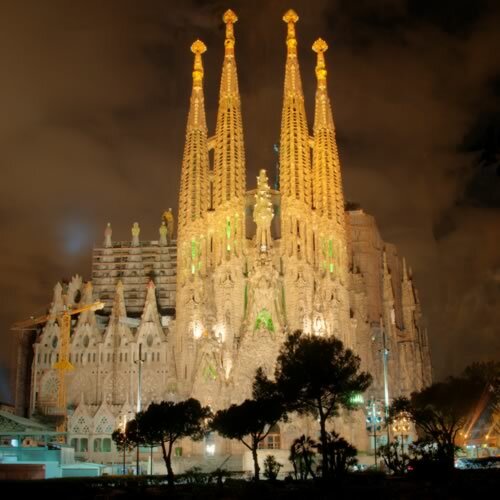 Following lunch, we recommend visiting some of the Moderniste masterpieces of Catalonian architect, Antoni Gaudi. You should visit the famous Sagrada Familia Cathedral and Parc Guell, Gaudi`s whimsical fairytale-like park that has been designated an UNESCO World Heritage Site. From here, you will continue to Passeig de Gracia and visit the Manzana de la Discordia with Gaudi`s Casa Batllo (as well as Casa Amatller, Casa Lleo Morera) and another Gaudí gem, Casa Mila (popularly known as La Pedrera). After a busy day of sightseeing, leisurely explore L`Eixample, the 19th century district that expanded the city beyond the congested Barri Gotic and Ciutat Vella. Stroll (and shop) Barcelona`s widest avenue, the Passeig de Gracia, before indulging on Catalan cuisine at Casa Calvet, a Gaudí-designed restaurant. 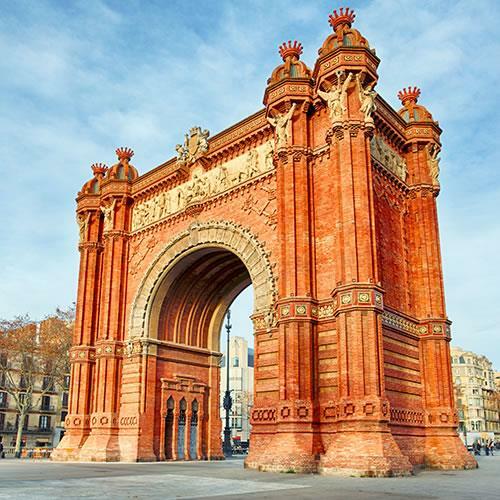 Wake up early this morning, walk through the Arc de Triomf, and head into the Parc de la Ciutadella with its botanical gardens and zoo followed by a visit to La Ribera and the Museu Picasso, by far the most popular art museum in the city! Although the Picasso museum in Barcelona does not house the most famous Picasso paintings, the collection in Barcelona is unique, featuring early sketches and lesser known works, which show his development as an artist. Now is a good time to stop and enjoy coffee and pastries at the Textil Cafe, a delightful little spot tucked into the patio of the 14th century mansion containing the Museu Textil. After a bit of refreshment, it`s off to the Basilica de Santa María del Mar. With its soaring vaults and colorful stained-glass windows, this cathedral is one of the best preserved Gothic monuments in the city. 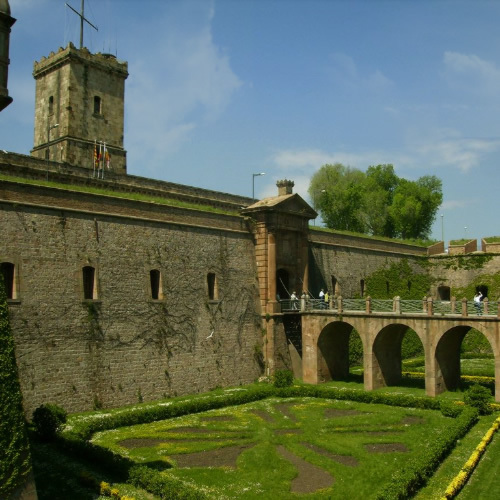 Finally, make your way to Montjuic Hill and Poble Espanyol de Barcelona, which was built for the 1929 International Exposition held in Barcelona. You can spend the rest of the day here admiring the art at the Fundacio de Joan Miro and the Museu Nacional d`Art de Catalunya (MNAC), which is housed in the grandiose national palace. You can also see the buildings of the Olympic Village from the 1992 Barcelona Olympic Games, including the Estadi Olimpic Lluis Companys. At the summit you will find Castell de Montjuic and some of the best views of Barcelona. And for the grand finale - do not miss an evening show at the Magic Fountain. 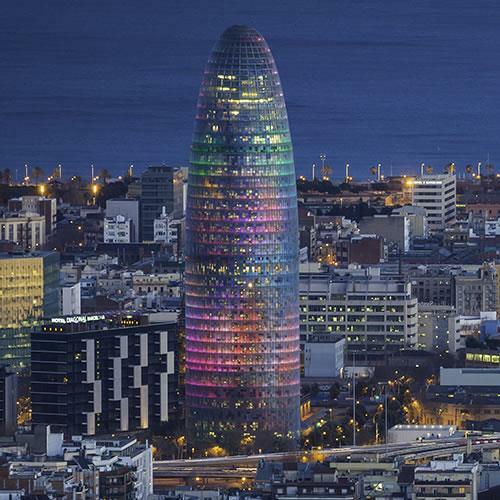 The spectacle of music, light and water is truly amazing and the perfect way to end your stay in beautiful Barcelona. 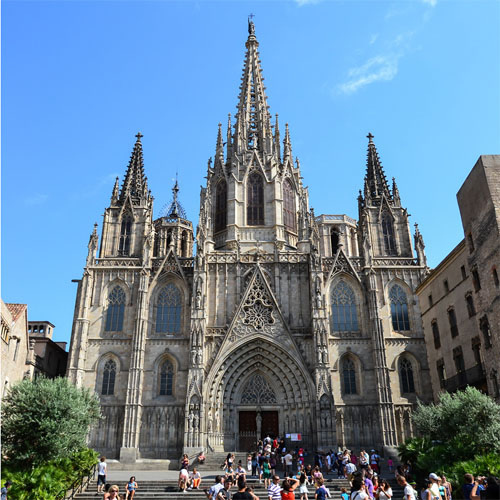 Should you be able to spend additional days in Barcelona, then you may want to catch the Metro up to Pedralbes to visit the monastery and palace. Then continue by funicular up to Tibidabo for the best panoramic views of the city and coast stretching north toward the Costa Brava. Here, the Sagrat Cor (Sacred Heart) church is built in a neo-Gothic style; and its silhouette can be seen from so far away that it has become one of the city`s most familiar landmarks. This is one of the few places in the world where you will find a church next to an amusement park. Afterwards, wander around the adjoining Collserola Park. 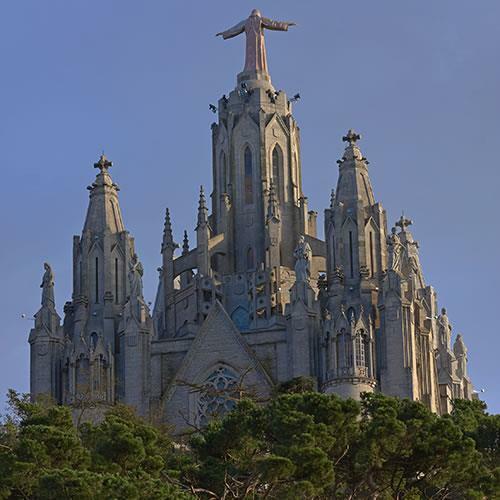 After spending a good amount of time on Tibidabo, head back down and hit a few more points of interest that you are sure to love. 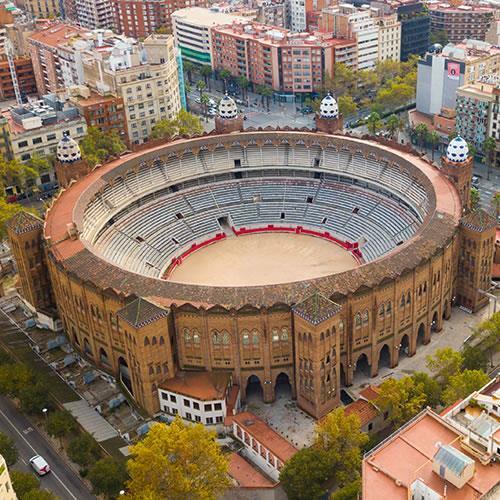 Bullfighting no longer occurs in Catalonia, but La Monumental in Fort Pienc is where the fights once took place, from 1914 to 2011. Today it is open to the public as a bullfighting museum. Close by is the Torre Glories, one of the tallest buildings in Spain, where revelers ring in the New Year in grand fashion similar to how Americans have a large celebration in Times Square. North of the city there is the beautiful Laberint d`Horta Park, spread out across 22 acres in a confusing, yet delightful, labyrinthine design. Only 750 people are allowed in the maze at one time, so if you really want to go, make sure you go early in the day, or late in the afternoon.